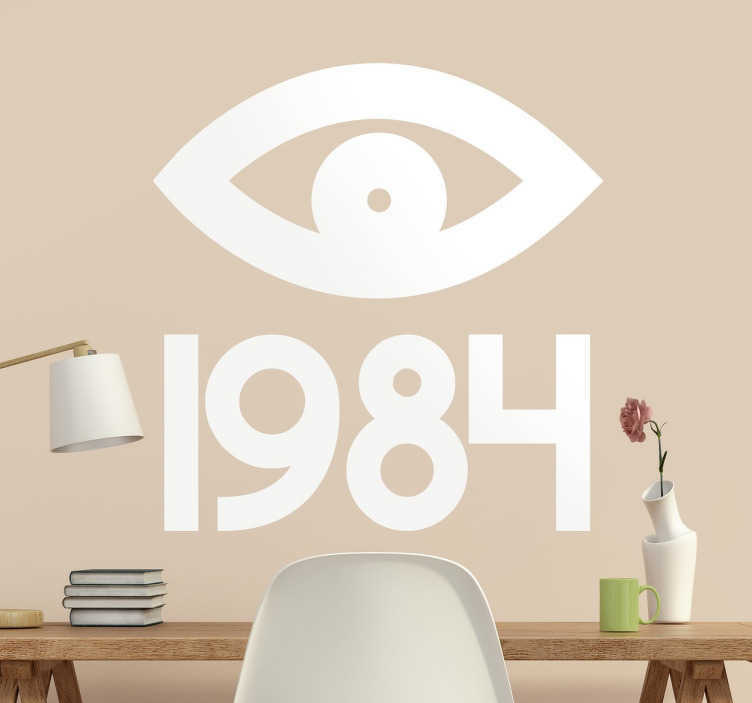 This literature related decorative wall vinyl is perfect for all fans of Orwellian works, showing an eye representing Big Brother and the number 1984, referring to the title of the world famous novel. Ideal for any room in the house as well as suitable for outdoor application, this vinyl is made from a high-quality anti-bubble material. If you require a custom sized sticker, don't hesitate in contacting us at info@tenstickers.com!